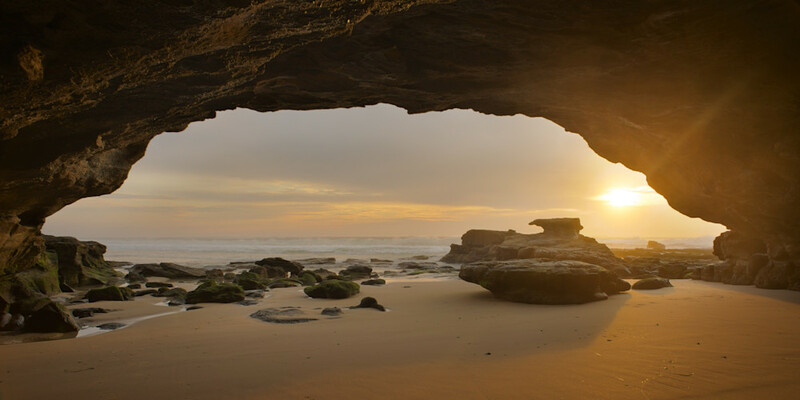 A beautiful morning inside the main cave at Caves Beach. A childhood favourite for many this cave brings wonder and fun. It is a perfect spot to watch the sun rise over the sea.